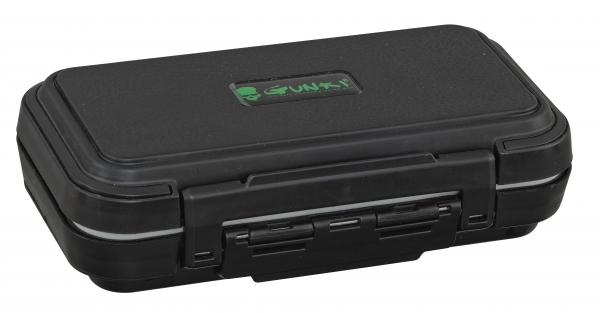 Gunki Accessory Large Box with 16 different sections. Reliable clasp and waterproof joints for secure storage of small accessories. Compact very hard and extremely useful. Dimensions - 16cm x 4.3cm x 8cm.